21 August 2014 - The business secretary has said giving government funds to keep a North Yorkshire coal mine open "wouldn't be good value for money". The business secretary has said giving government funds to keep a North Yorkshire coal mine open "wouldn't be good value for money". However, Vince Cable said the government was proposing a ?10m loan to avoid a sudden, "brutal closure" of Kellingley Colliery. Last week the mine's owners UK Coal held talks with Energy Secretary Matthew Hancock about extra state aid. The pit is scheduled to close in 2015, with the loss of 700 jobs. UK Coal said it was discussing the terms of the ?10m loan from the government to allow a "managed closure" of the mine and Thoresby Colliery in Nottinghamshire. Speaking during a visit to Yorkshire, Mr Cable said that the mines had "no long-term future unless very large amounts of taxpayers' money are involved". He said: "Given the pressures on the government's budget and the fact that ?100m could do a whole lot of other things supporting jobs in growth industries we've taken the view that wouldn't be good value for money." Mr Cable's department is responsible for any decision on state aid for the mines. Last month, the National Union of Mineworkers (NUM) dropped a plan to organise an employee buyout of the mine. Chris Kitchen, from the NUM, described Mr Cable's comments as a "disgrace". "We haven't even had UK Coal put in an application for state aid and he's already saying he is not in favour of it, " he said. "We've been pushing for a state aid application to be put in over six months ago. "Six months ago it would have been value for money for the taxpayer." Miners at a North Yorkshire coal mine set to close this year have staged a rally to call on the government to provide funds to keep it open. 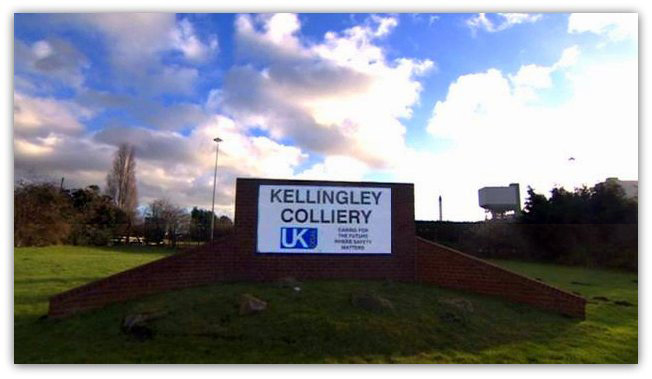 Kellingley Colliery is set to close in 2015 with the loss of about 700 jobs. Workers, MPs, and union leaders marched through Knottingley and held a rally at Kellingley Social Club. In August, Business Secretary Vince Cable said?giving government funds to keep the mine open "wouldn't be good value for money". UK Coal announced plans in April for a managed closure?of the colliery due to "extremely difficult trading conditions" and in September secured ?4m from government to support the plan. Chris Kitchen, from the National Union of Mineworkers (NUM), said: "Kellingley has about 30 years worth of coal and we know that we're going to be burning coal in this country to generate electricity... the majority of that now is imported. "It's not that we're trying to keep Kellingley open for some kind of historic reason, there's a use for the fuel and there's a use for the fuel going forward that's mined at Kellingley." A?report?prepared for the NUM said the mine could remain open until 2018 with help additional from the government. Labour MP for Normanton, Pontefract and Castleford Yvette Cooper said: "If the government doesn't act fast it will be too late. 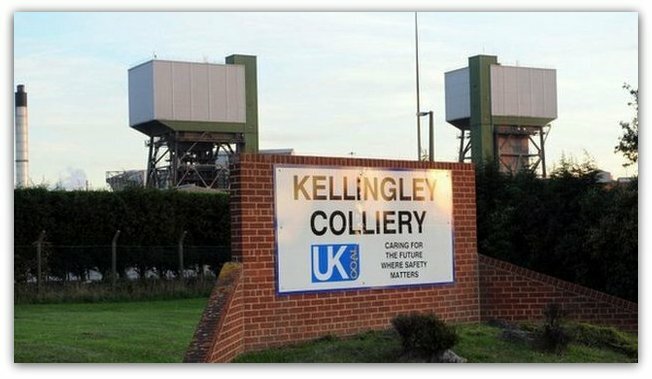 "The cost of keeping Kellingley open is going up week after week because there's been no investment in new faces. Yet the government is just dragging its feet trying to kill off the pit by stealth." A government spokesman said: "We have now received a plan from the company and will look carefully at their proposal, bearing in mind that we must make sure that taxpayers receive value for money."